Anetech, LLC is an Austin, TX based company that offers complete met mast solutions to meet the needs of the renewable energy industry and others. 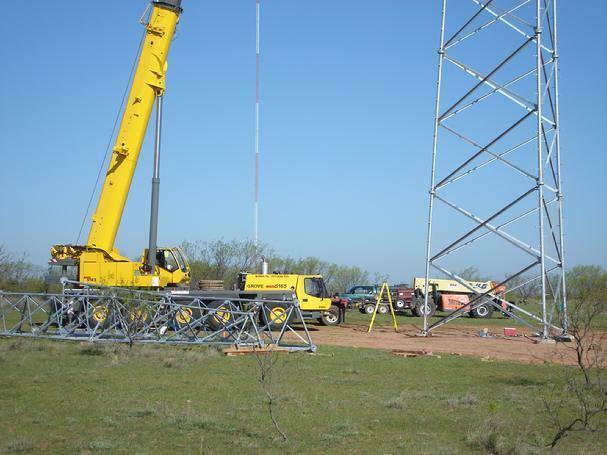 Anetech is a small team of professionals that have over 12 years experience working on lattice met towers. We have worked in many places across North America and have the ability to mobilize quickly for any job in any type of environment. To keep our costs, and effectively our client's costs low, we utilize high levels of efficiency, expertise and specialized working partnerships. At Anetech, we pride ourselves on being very detail oriented, we do it once and we do it right the first time. For more about what's going on at Anetech, check our blog on our News page.